The lawyer for the doctor who was at Michael Jackson's home the day he died tells TMZ he did not give Jackson OxyContin or Demerol that day, but he wouldn't say the same about the powerful anesthesia found at the singer's home. 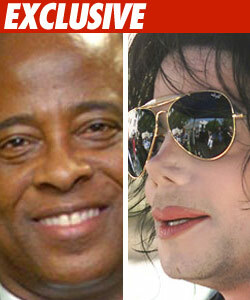 Dr. Conrad Murray was interviewed by LAPD detectives a week ago Saturday. Law enforcement sources tell us the information Dr. Murray gave police regarding drugs at Jackson's home was enough for cops to secure a search warrant from a judge. A search warrant can only be issued if there is probable cause to believe a crime has been committed. Law enforcement sources say when police searched the home, they found the powerful anesthesia Propofol. The drug was specifically labeled Propofol and there was no indication it had been prescribed to anyone. Edward Chernoff reiterated to us his client did not administer Demerol or OxyContin to Jackson the day he died. But Chernoff would not take the same stand on Propofol. Chernoff told us, "I have no statement on whether the Dr. prescribed or administered Propofol." Chernoff added, "We're confident whatever the doctor prescribed did not kill Michael Jackson." As we reported last week, cops obtained a search warrant the day after Jackson died. A second warrant was issued two days after Dr. Murray's interview -- that's the one that led cops to the Propofol. The second warrant may have been necessary if the first warrant only covered prescription medications. The LAPD and the DEA are on the hunt to determine how the Propofol ended up in Jackson's home. The drug should never be administered outside a hospital. UPDATE: A spokesman for attorney Ed Chernoff just called to say when Chernoff spoke with TMZ last night "He was not conscious. He had just woken up and he can't speak for anything that was in the home." In fact, it was just after midnight Houston time when we spoke with him. We were on the phone with Chernoff for nearly 20 minutes. He repeated multiple times that he had no comment regarding the Propofol. Aside from the comments we quoted above, Chernoff said, "I have no comment on whether the doctor administered Propofol." He also said, "I can't deny or admit what the doctor might have prescribed." He also said "I can't say if the doctor gave him Propofol." Chernoff went on to talk about the LAPD investigation, sounding very alert and choosing his words carefully: "When all the results come in, the truth will come out and the correct result will be obtained." He also asked questions about what we knew regarding which drug may have killed Michael Jackson.